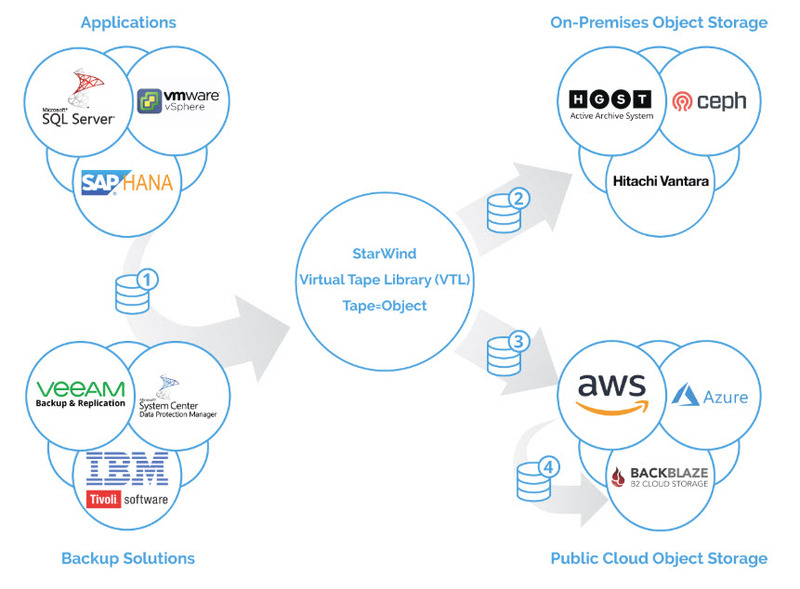 Today we have a free software announce – StarWind Free Virtual Tape Library (VTL). Besides the free version, they also have Paid Software solution or Appliance (hardware+software). The free version of StarWind VTL has All the features of the commercial version. The “catch” is in the GUI where you can use it only in monitoring mode. The Free version of StarWind VTL (Virtual tape library) is available for download here. We have detailed StarWind VTL step-by-step setup in our post here. If you’re not doing any cloud backups, and only have a single data center, you still be able to take a benefit of StarWind VTL. When you think about VTL, you might ask yourself about what’s the benefits? 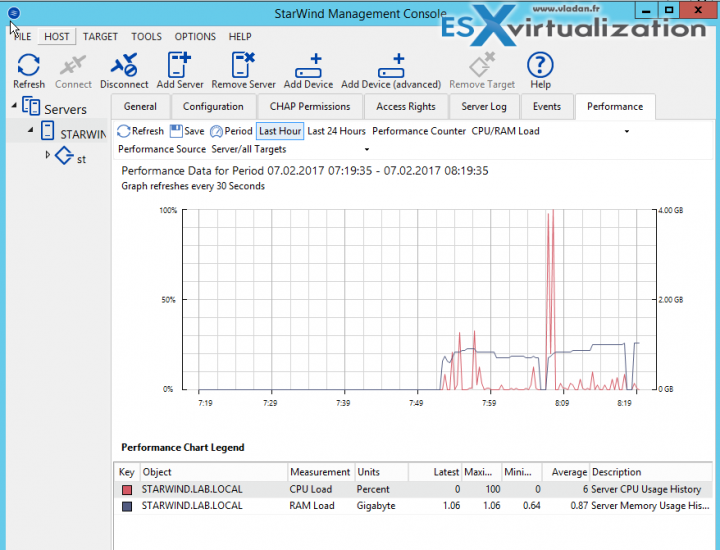 StarWind VTL – What’re the Benefits? Security and cost-efficiency – VTL eliminates manual backup process by shipping Virtual Tapes to any cost-efficient cloud and object storage using commodity ethernet. Enterprise-grade scalability – StarWind VTL scales capacity using object storage like HGST ActiveScale, Cloudian, Fujitsu Eternus, or cloud storage from AWS, Azure, Backblaze, or Wasabi. Zero-change integration into any backup infrastructure thanks to using tape API, native to any backup software. For system administrators who can maintain the backup infrastructure on their own, we offer a Free version of StarWind Virtual Tape Library. StarWind VTL Free delivers the unrestricted set of features and a GUI that works only in monitoring mode. Also, the free version is supported only in the open public community forum. If you care about the data you store and want to receive useful regular updates and fixes, we recommend choosing the commercial version. As you can see, the free version does have some limitations. The detailed page which compares the Free and Commercial version of StarWind VTL is here. We borrowed the compare image from that page…. StarWind has a good whitepaper with a step-by-step. If you want to test it, together with Veeam Backup, you’ll certainly need this, because they give you some details how to configure the local iSCSI initiator in order to connect to the StarWind VTL and there is also a download link for HP Tape drives which StarWind emulates. StarWind VTL Free delivers the unrestricted set of features and a GUI that works only in monitoring mode. Also, the free version is supported only in the open public community forum. Check our detailed post about setting up Veeam Backup server and StarWind VTL on the same server. They also have a fantastic value for their free edition of StarWind VSAN. Screenshot from the lab – Overview of the standard StarWind Management console. StarWind Supports SMB3 – Did you Know? What Is StarWind SMI-S Provider?